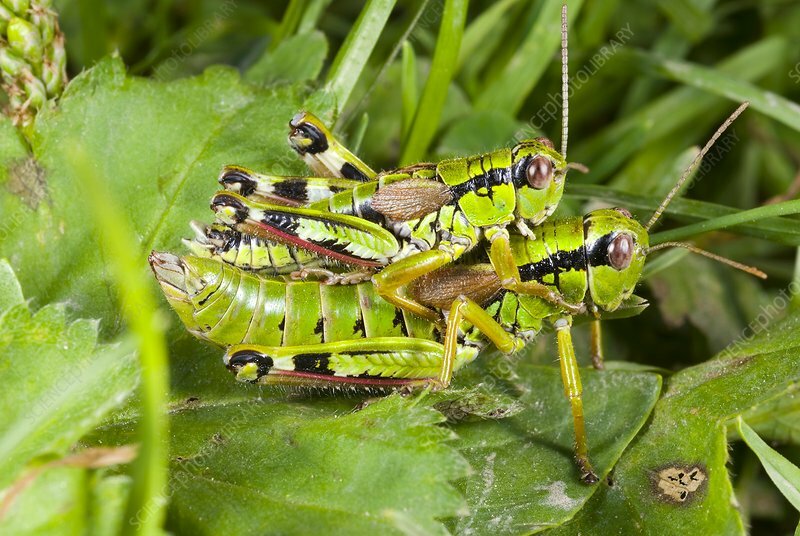 Green mountain grasshoppers (Miramella alpina) mating. This common alpine grasshopper is present in Austria, Belgium, Czech Republic, France, Germany, Italy, Poland, Spain and Switzerland. Photographed in Tatra National Park, Poland.